Niall Horan's stage shows have to be identical or he gets "nervous". The 'Slow Hands' hitmaker has previously spoken about suffering from obsessive-compulsive disorder (OCD) and he's admitted it still impacts on his life, from the way he eats his meals to his behaviour during his concerts. Speaking to Germany's Zeit Leo magazine, he said: "I have a mild obsessive-compulsive disorder, that's what doctors call it. "I feel like I have to do things in a certain way. For example, if I have a burger with chips on my plate, I always have to eat the chips first and only pick up the burger at the very end. "There are other tics in my life. Even when I go on stage, I only have one fixed sequence. I always have to sing in the same order, move and so on." Asked what happens if there's a break from the norm, he added: "I have to do things very quickly, otherwise, I'll get nervous very quickly." While the 24-year-old singer thinks his tics set him apart from "normal" people, he's met a number of other musicians who also suffer from OCD. He said: "I noticed: I may not be like most normal people - but most musicians are like me! Some have much stronger tics than I do. "A friend has to, for example, always exactly do things three times when he washes his hand: soap three times, rinse three times, dry off three times." 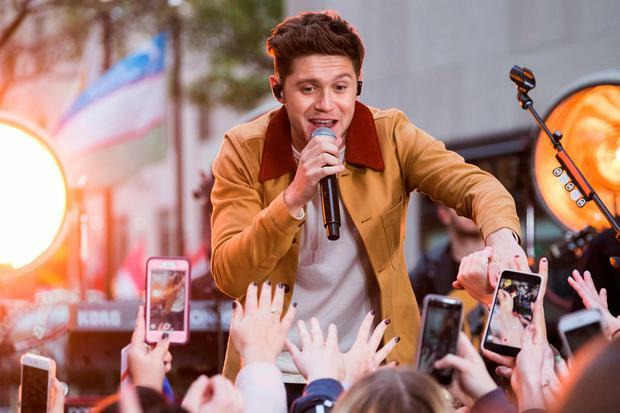 Though the former One Direction star admitted his classmates used to tease him about his rituals, he has learned to accept them as a part of his life and to ignore what other people think. He said: "I live with them and they're mine no matter what others think about it. I'm just like - what the hell!"